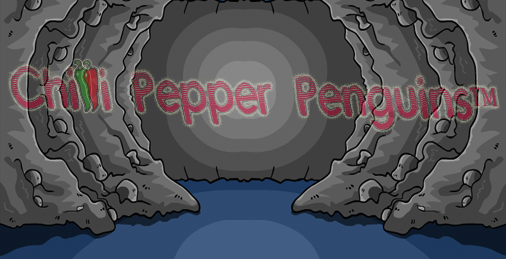 Club Penguin Exclusive Sneak Peek: The Closed Mine Cave Entry Revealed! Hey Penguins! I have an exclusive sneak peek here! I am the first to discover! It’s a long story, but I know a guy who is good in Game Programming, and he managed to get this specially for me! No one else! We worked together for a long time on this, and this is what we came up with. It was hard to dig out, but we managed. Here is a photo of what might possibly be the outcome of the Mine, when the caves are closed. If you didn’t know that the caves are closing, read the CP Newspaper here! So here is what we might see tomorrow on Friday the 29th! It might look something likes this or a little bit different. Pretty cool eh? Remember you found it here first from the help of a Game Programmer and I on chillipepperpenguins.wordpress.com! If you would like to use this image on your site, without my watermark, just comment on this post by asking nicely! But there is a trick! There is a hidden link on this site, that is hard to find, and that is where you will find the photo with no watermark… Ahh… difficult eh? I’m on my spicy side 😛 BUT BUT once you find the photo, and place it on your own site, you must link the photo back to my site and give me credit! Don’t say you were the person to find it! Because I was! Note: the secret link could be anywhere! Here’s a hint, it’s hidden in one of the first ten recent posts that I wrote… Get searching! Once you find it the photo link will show! heyy. haven’t talk in a while. so, what’cha been up to? I hope u can make it cya!!!!! you play hmmm you told me you play basketball so 1 and soccer?baseball? ❤ I love the pic!!! Hey Chilli, Just to Inform you that Blue Popcorn Quit cp! He announced it after his last party on his site…..
Club Penguin Cheats Exclusive: Christmas Party Sneak Peek Revealed! A Sleigh Adventure! Plus More! I have been looking through the Club Penguin website lately. I noticed some new member events cool! A Special Sleigh Adventure! AWESOME! Plus more! Hmm… I hear some signs of more ninja stuff! Sweet! An igloo contest! Also, click this link about another Secret: Brass Ninjas! Comment too! Great site dude! Its really awsome! Do me a favour and go to my site and check the new css out and drop a comment! Thanks for commenting! I will check it out! How do you feel about this cool stuff, eh? Club Penguin Mission 11 Sneak Peek! Vote for New Glasses! Agent Dot is Coming to Club Penguin! Vote for the one that you want to be in the mission! I voted for number 2! It looks sweet! Also, a new Secret Agent is joining the team! This agent will come out in December! It’s pretty obvious who it is though. It is Dot from Club Penguin’s Elite Penguin Force DS Game! Sweet! I think it is dot too. Editor’s Note to Chilli: I took out the info due to advertising. Also, I’m back and I would like to continue being your editor. Exclusive: Member Events Sneak Peek Coming! NEW Card Jitsu Fire Log In Screen! Did you guys check out the new Membership page? Well CP gave us a sneak peek at what is coming! Did I hear new MEMBER CP Rooms? Also, there is a new Log In Screen! It gives us a closer look of the Volcano! Can you check mine out i just started! hey chilli can we do a music video togethor? If we can can we do the song fireflies by owl city? New Club Penguin Vote! Vote for New Furniture! Club Penguin has been thinking about what Club Penguin users want and the first thing that came to their mind was furniture. Club Penguin wants us to decide on a new furniture item for the September issue of Better Igloos! Look at what piece you want the most. Click here to vote. I like the Green Beanbag Chair! You don’t have to comment on the Club Penguin Blog to leave a vote on the Club Penguin Blog. Just use the voting box on the Club Penguin Blog. In Addition: The Splatter shirt is coming in Friday’s new Penguin Style catalog! Comment your thoughts here let me know what piece of furniture you are going to vote for! Yay! Another Vote topic! Let’s hope the Green Bean Bag Chair wins this time! Comment your thoughts. 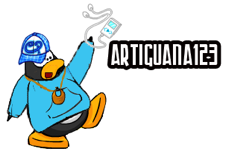 A party is coming to Club Penguin soon! Hmmm… is it the Water Party?? Well, Billybob managed to find this sneak peek for everyone. 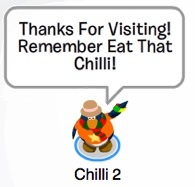 Wow, never seen this before in Club Penguin. Doesn’t ring a bell! Heehee. Club Penguin will be giving out more info along the way! I bet it is going to be the Water Party with a twist! This sneak peek has really gotten me thinking. Keep checking the blog for cool news coming up in a couple of days. No I think it might be a ……..! LoL I forgot! 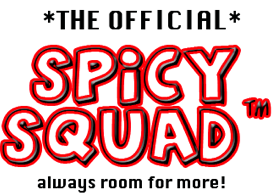 Your site is still spicy as ever!